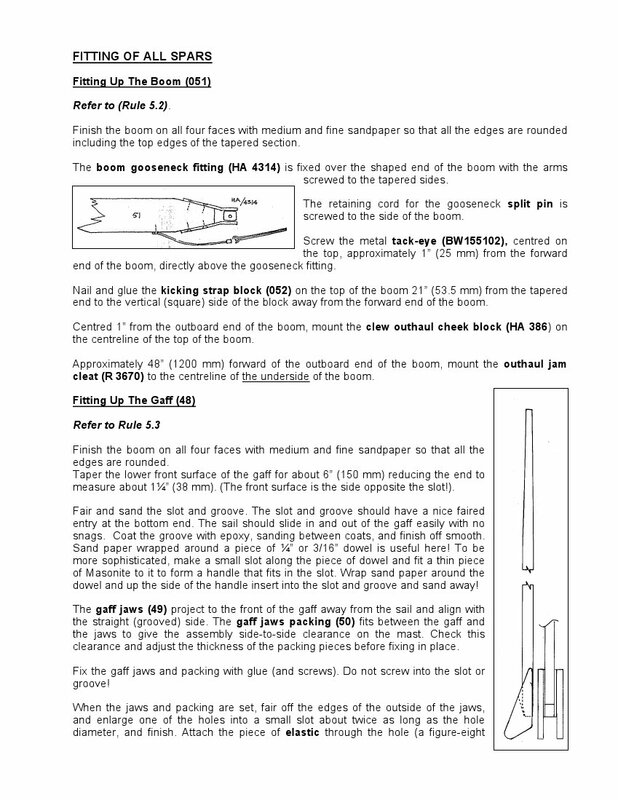 The building instructions (this version kindly provided by Mirror Sailing Development in Canada) cover the basic fitting out of a gaff on page 41 and page 42. If you are not going to race these may be adequate for you. If you want better performance, then the following may help. 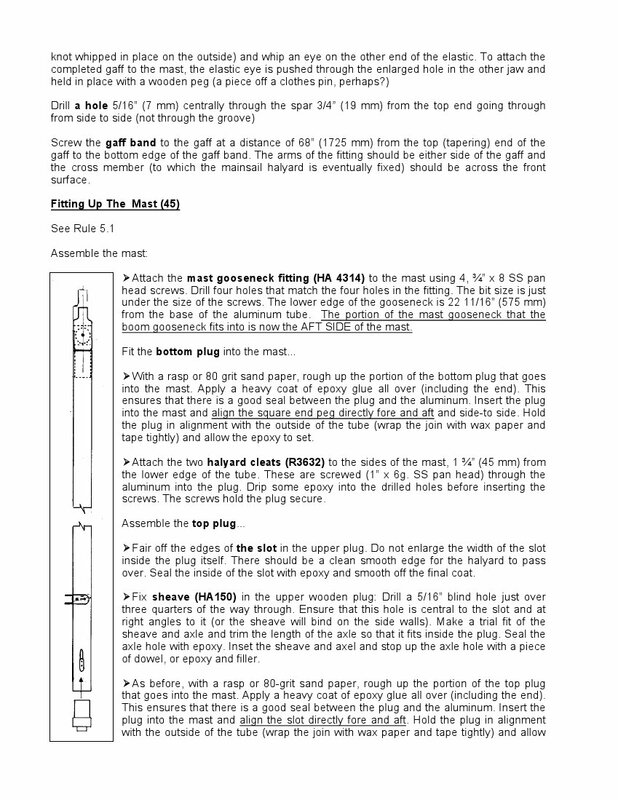 Most people in the UK use a gaff band to attach the main halyard to the gaff. You need to use the 'low profile' stainless steel Allen Brothers A4032, or something better. The original brass gaff band supplied in the 60's and 70's is utterly useless if you want to get the gaff up tight against the back of the mast. You need to ensure the bottom edge of the band, or the pin, is as near the maximum permitted distance from the top of the gaff as is allowed in the class rules (currently 1733mm). This will ensure the gaff is hoisted as high as possible. Before fitting a band, you need to ensure it fits the gaff snugly. If your gaff has a square cross section at this point, it might just need the corners rounded off a bit. If you have a more circular cross section, then you will need to bend the band to match, using pliers etc. You are trying to get the main halyard attachment point as close to the front face of the gaff as possible. The point on the gaff where the band is fitted is where the gaff is under most stress (when a gaff breaks, it's nearly always at this point). Don't try and cut a rebate for the band, that will just weaken the gaff, exactly where you need most strength. With a square cross section gaff, the screws holding the band on are in sheer. If you have a different section, you should aim to have the screws in sheer as well, that might mean re-drilling the fixing holes in the band. Because they are in sheer, there is no need to have oversize screws (which will just weaken the gaff). I find 12mm No. 6 pan heads are perfectly adequate on a new gaff. Needless to say, you need to ensure the screws do not protrode into the slot in the gaff, otherwise you won't be able to get the mainsail in or out of the slot. When fitting a band, I use a couple of small G clamps to hold the band firmly in place with the halyard attachment point as close to the gaff as possible. I also make sure the pilot holes for the screws are bearing on aft side of the holes in the band - so the band is held tightly against the front of the gaff. Always a good idea to put some (wet) varnish, or (unset) epoxy in the screw holes before you put the screws in. 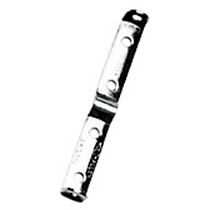 If you need to re-fit a gaff band, and there are old screw holes near to where you want to fit the band, one option is to cut a bit (50mm, 75mm) off the top end of the gaff, re-mark the "black" band and re-fit the band lower down (i.e. screws going into fresh wood). Needless to say, you need to check positions for the bands comply with the class rules. There is no minimum length for the gaff, and cutting a bit off won't make much, if any, difference. Normally referred to as the 'black' band (but it does not need to be black), the head of the mainsail must not be pulled past the bottom edge of this band, so limiting how high the mainsail can be set. Details in the class rules, currently (2018) painted, not less than 16mm wide, lower edge not less than 76mm from the top of the gaff. 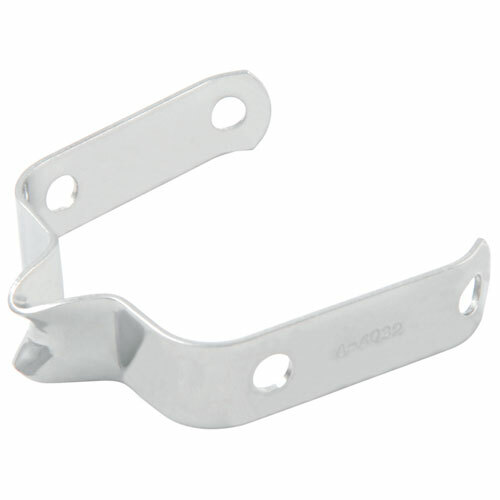 The standard jaws can be greatly improved to reduce windage and stop other rigging, like the spinnaker halyard, catching on them. There is, in my view, no need for them to extend forward of the middle of the mast. This is, after all, where they bear on the mast. I think a burgee or wind indicator is essential on a Mirror. The Allen Brothers A4066 burgee holder is now pretty well the standard fitting on gaffs or Bermuda masts. It works well with a Falker burgee which is my preferred make. Needless to say, it needs to be fitted as high up as possible, so the burgee is as high as possible above the mainsail. If you want less windage, there is a way, using a system based on the ZephyrRace burgees popular in the 70s & 80s.